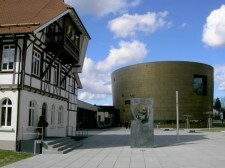 All of us spent three fabulous days where we visited the fairytale world of Steiff Museum which was a teddy bear collector's dream come true. 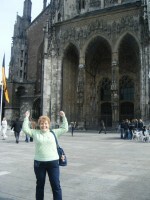 This was my third visit but like rest of our group I as was still overwhelmed by the magical world of Steiff. 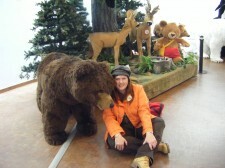 Their new museum hosts a multitude of bears and soft toys both new and old some of which are priceless. 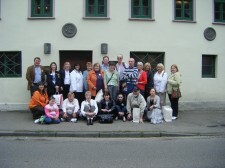 We visited the Steiff shop and ended with a tour around Margarete Steiff''s birthplace. 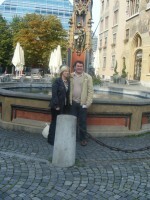 We were also shown the usual Steiff hospitality and enjoyed two fabulous days out in the historic town of Rothenburg ob der Tauber and Ulm which has the highest spire in the world and is also the birthplace of Albert Einstein. 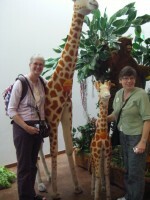 Jane and Liz wondering how to get their giraffes into their suitcases for the journey home. 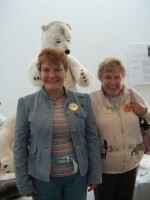 Roberta and Avril ....watch out there''s a polar bear about ! 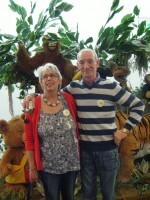 Yvonnne and Robert....it''s a jungle in here. 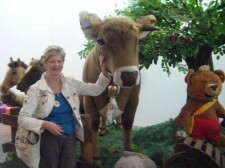 Pat stayed in the Steiff Museum till the cows came home.